When BMW released the M4 back in 2014, it officially became the poster car for fans of the company’s M division. Two years later and the M4 has proven worthy of carrying that mantle for BMW. But let’s face it, a good car shouldn’t settle for good. Likewise, a better car shouldn’t stop there either, if it can be the best. 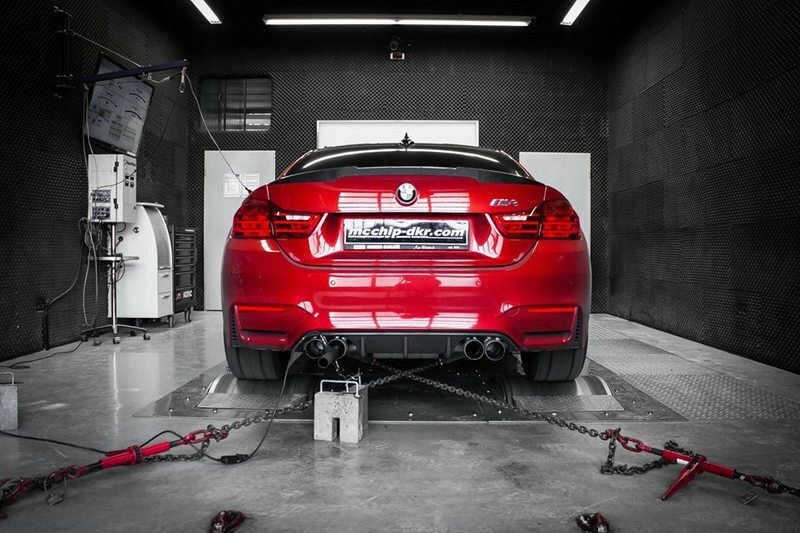 Part of that responsibility lies with aftermarket tuners who make their bread by giving cars like the M4 the upgrades it needs to further stand out from the crowd. We’ve seen some fancy and powerful kits for the M4 and the latest one figures to be no different. 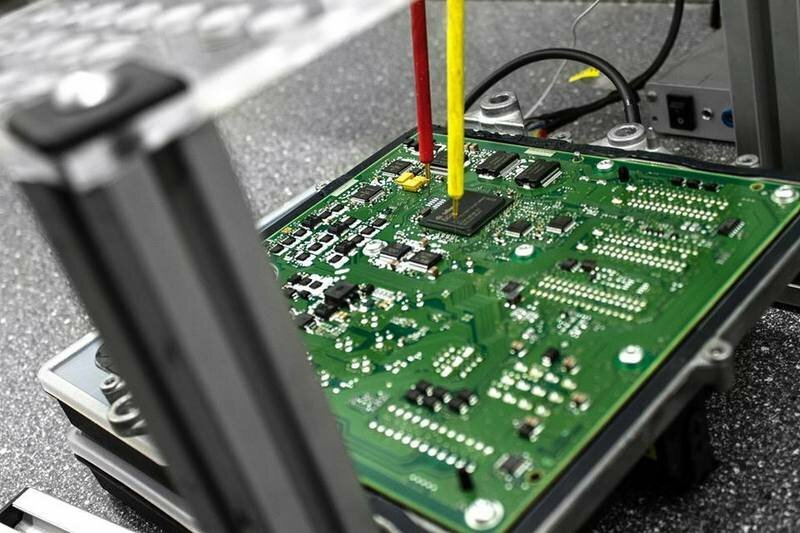 This one comes by way of Mcchip-DKR, the same tuning company that has been responsible for past programs for the Mercedes C63 AMG, Audi R8, and Porsche Panamera. Suffice to say, Mcchip knows its way around German performance cars, a category that the M4 surely belongs to. For this program, Mcchip focused exclusively on the M4’s 3.0-liter turbocharged inline-six engine and gave it a noticeable performance improvement. That’s the long and short of it, which tells you where the tuner’s attention really was. In the end, the M4 got what it needed as it’s now faster and more powerful than any of its standard counterparts. The question is: does this kit stack up against what other tuners have done for the M4? 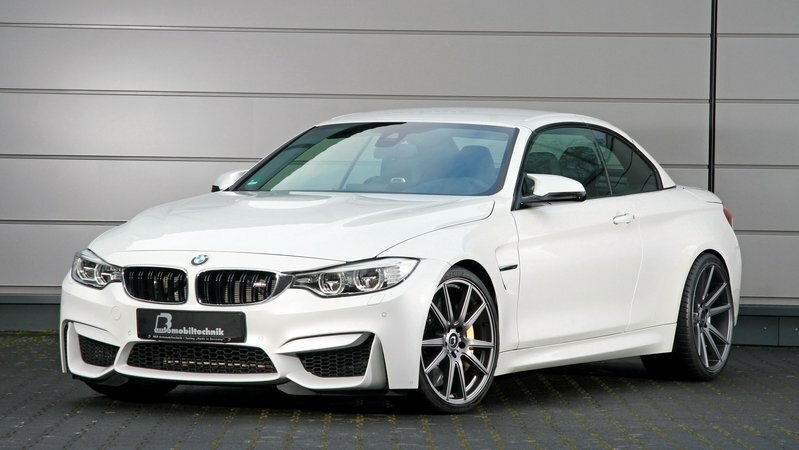 McChip’s work on the BMW M4 didn’t include any work on the exterior of the sports coupe. But the M4 still looks a little different, doesn’t it? 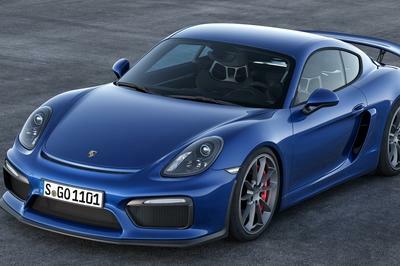 That’s likely due to it receiving BMW’s M Performance kit, which includes plenty of carbon fiber aero bits and a new and fancy set of blacked-out alloy wheels. 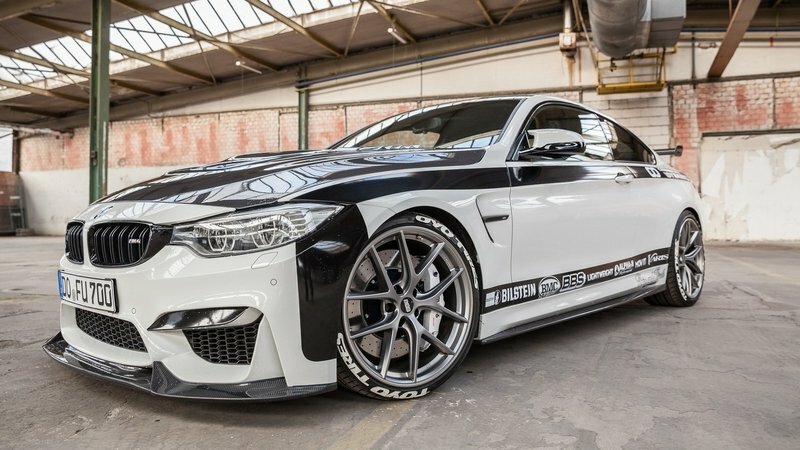 The wide body aero kit is evident on the M4, particularly the carbon fiber lip spoiler, the flaps on the intakes, the noticeably wider fenders, and the carbon fiber spoiler at the back of the car. Other than these parts, the McChip-tuned M4’s exterior looks roughly the same as any standard M4. The focus on the M4’s turbocharged inline-six engine also means that the tuner didn’t bother making any modifications on the car’s interior. 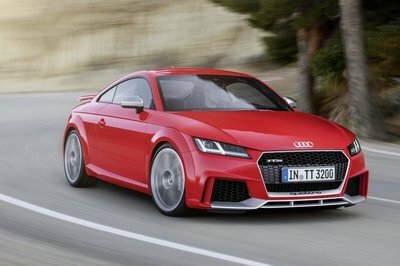 The good news is that it still carries the sportiness of a tried and true M performance sports car. M door sill finishers are still there. Same thing with driver’s footrest, gearshift lever, circular instruments with white graphics, Anthracite headliner, and the leather-wrapped multi-function steering wheel with chrome trim, contrast stitching, among other things. For a lot of people, these things are more than enough to give the M4’s interior a more premium feel to it. The extra horses brings the M4’s output up to 517 horses and 405 pound-feet of torque. The M4’s 3.0-liter turbocharged inline-six engine is really where McChip stamped its influence. Using a specially developed power kit, the German tuner was able to extract an extra 87 horsepower and 118 pound-feet of torque. The extra horses brings the M4’s output up to 517 horses and 405 pound-feet of torque. McChip didn’t elaborate on how the M4 performs with the added output, but considering that a standard model can sprint from 0 to 60 mph in 4.1 seconds with a six-speed manual transmission and just 3.9 seconds with BMW’s optional seven-speed M Double Clutch Transmission, it’s reasonable to think that those numbers have been shaved down to 4.0 and 3.8 seconds, respectively. Top speed is a different issue altogether since the M4 comes with a stock speed limiter. 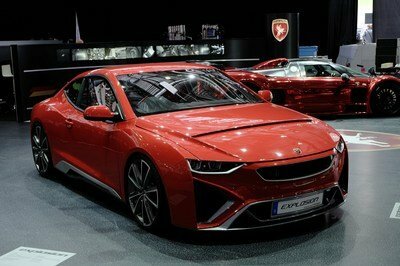 So unless that was removed, be content with the sports coupe still peaking at 155 mph. The German tuner didn’t release pricing details for this specific engine tune, but a quick look at the company’s website reveals a similar program for the M4 that costs €1,699, taxes included. That should amount to just a little under $2,000 based on current exchange rates. It must be remembered though that the posted kit provides a little more power than the more current version does. So the price for the newer kit could be a little cheaper. In any event, the best way to find out is to contact the tuner directly and get the price quote straight from the horse’s mouth. Two other tuners have presented aftermarket programs for the BMW M4 since the calendar flipped to 2016. The first one comes by way of B&B Automobiltechnik. Like McChip, B&B focused its attention solely on the M4’s inline-six powertrain. Exterior changes were limited to a new set of wheels and the interior was left largely untouched. But a lot of work was put into the turbocharged six-cylinder engine. In fact, B&B created three separate tuning stages for the M4, each with varying levels of power increase. All three stages come with modifications to the turbochargers to go with a higher-flow intake tract, larger exhaust downpipes, more efficient charge air cooler, and an ECU remap with revised fuel, spark and boost parameters. The result is an impressive 490 horsepower with the Stage 1 kit and 540 horsepower with the Stage 2 version. 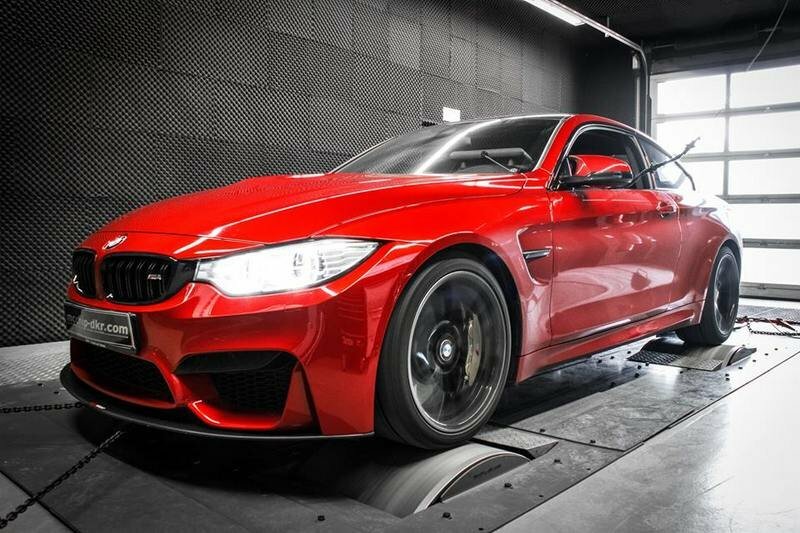 Meanwhile, the Stage 3 offers 580 ponies and 553 pound-feet of torque, enough to propel the M4 from 0 to 62 mph in just 3.5 seconds to go with an impressive 205 mph speed on account of the removal of the Vmax limiter. 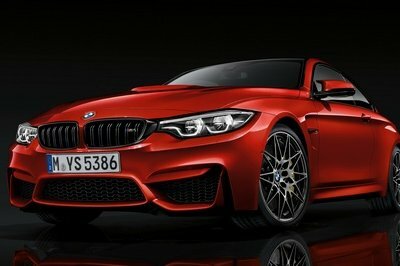 Shortly after B&B released its program for the BMW M4, followed suit with its own tuning program. Unlike B&B – and McChip for that matter – CarbonFiber Dynamics’ program does come with an extensive naked carbon fiber body kit made up of a front lip spoiler, side skirts, a ventilated hood, an adjustable rear wing, a rear diffuser, and a trunk-mounted spoiler. A new set of 20-inch BBS wheels shod in Toyo Proxes T1 tires are also part of the program. Meanwhile, the tuner’s work on the M4’s inline-six engine included the upgrade of the turbochargers and the addition of a new air intake and a high-flow air filter. A methanol injection kit and a tuning module from Burger Motorsport JB4 that comes with fine adjustment and CANBUS command with eight different ECU maps are also part of the program. With all that in the equation, CarbonFiber Dynamics was able to increase the M4’s output to 600 horsepower and 610 pound-feet of torque, by far the biggest increase from any of the three programs. 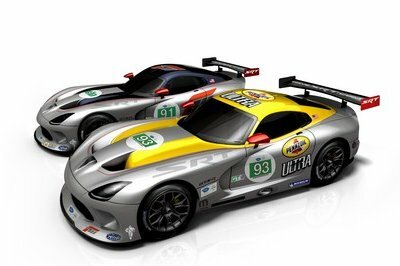 The tuner didn’t mention any performance numbers, but a 0-to-60-mph sprint should be good for around 3.5 seconds to go with a top speed of close to 200 mph on the caveat that the speed limiter is removed. I’ve been a fan of McChip for a while now and I’ve seen some impressive programs built by the German tuner in the past. But something about this particular kit gnaws at me. I understand where McChip is coming from. It wants to give M4 customers a basic tuning kit that adds enough power on the M4 to make a little more fun to drive at a price that can really be described as “affordable.” But if I’m being honest, I expected something more. It feels like McChip didn’t do as much as it could here because it’s chasing the appeal of the program being financially viable for M4 owners. I can’t fault the tuner for taking that approach, but I also think that it could’ve added something more.